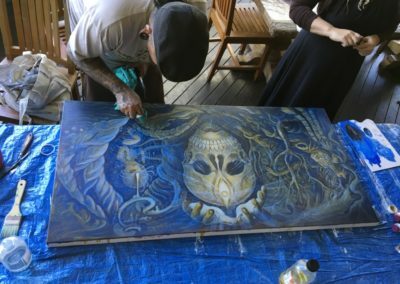 We feel that visionary art is still under-appreciated, but that its the next stage in the evolution of contemporary art. 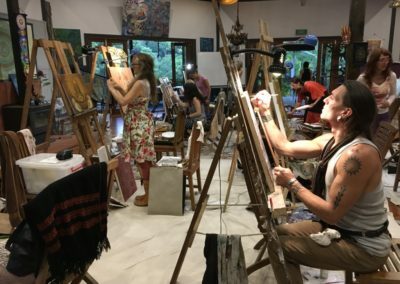 We hope to facilitate the learning, creation, and sharing of this amazing genre of art by establishing regular workshops at Paradise One Eco-Retreat Centre, and to be an important hub for artists from around the world, bringing to our venue International Visionary Artists of the highest calibre to tutor students at every level and introduce &/or further their knowledge of this genre. 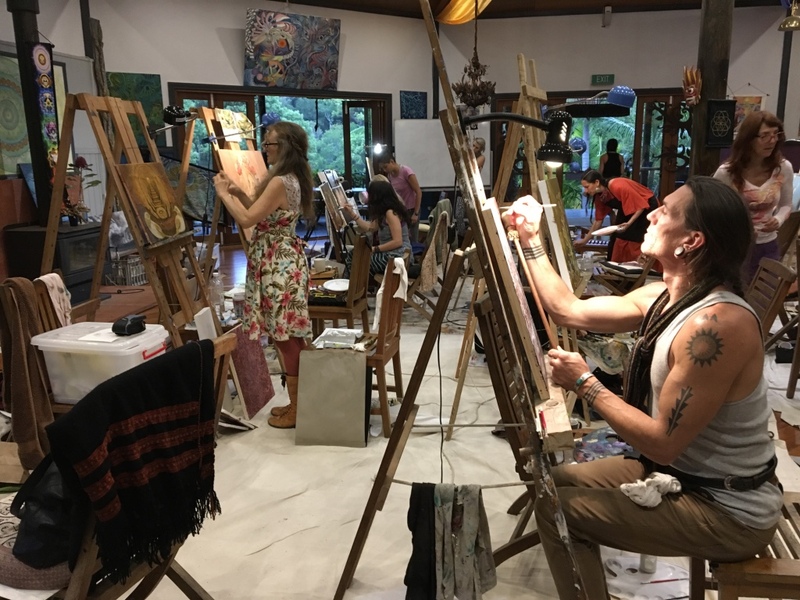 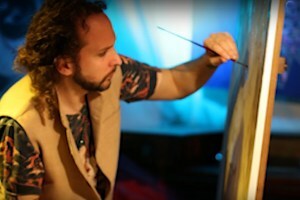 Our next Visionary Art retreat at Paradise One Eco-Retreat will be taught by Daniel Mirante from the UK, co-founder & director of the UK based Art Pilgrim retreats & a teacher at The Academy of Visionary Art in Vienna. 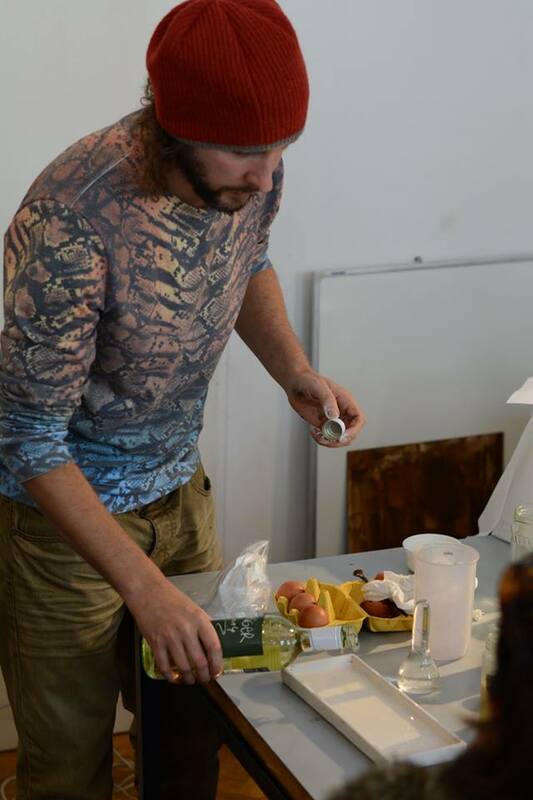 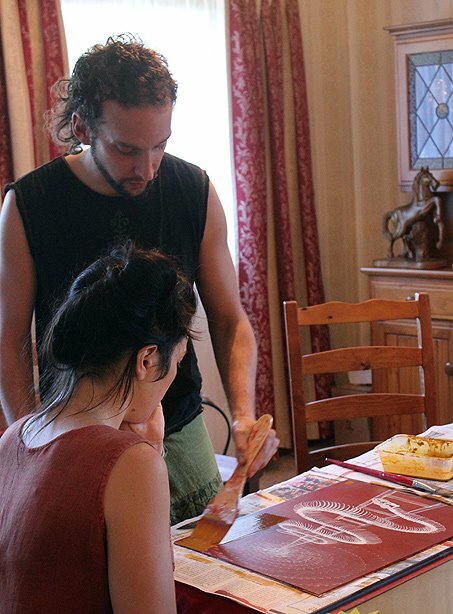 Daniel brings with him an expansive vast knowledge of traditional mediums & materials, & teaches the mischtechnik. 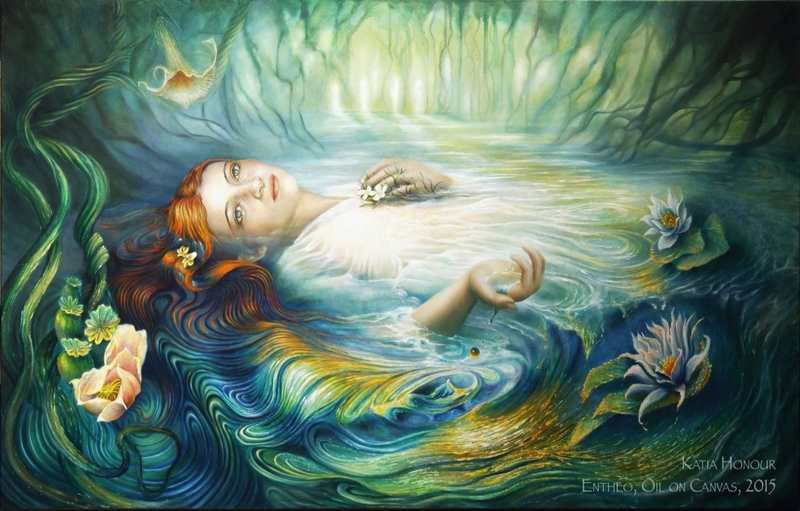 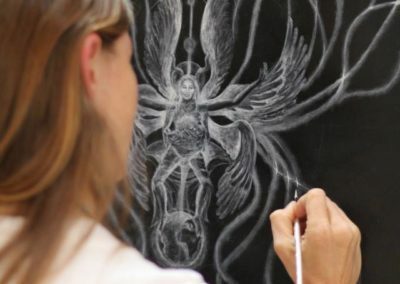 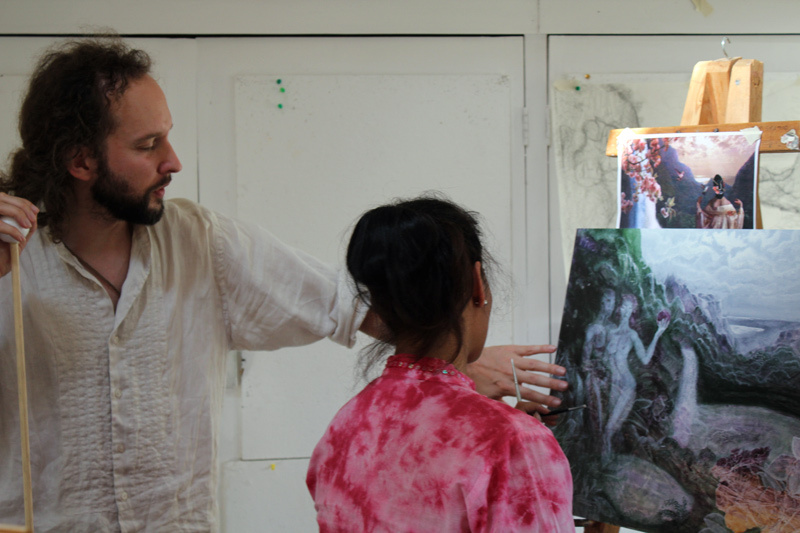 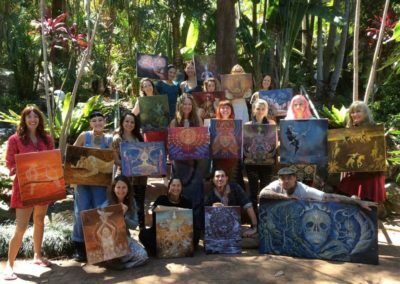 Join us for an deep journey into the sacred traditions of art with visionary painter and experienced teacher Daniel Mirante, of the Vienna Academy of Visionary Art. 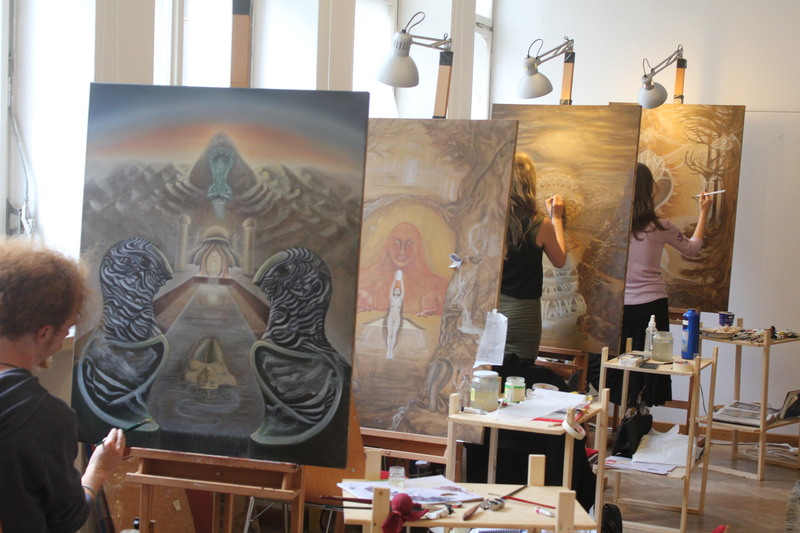 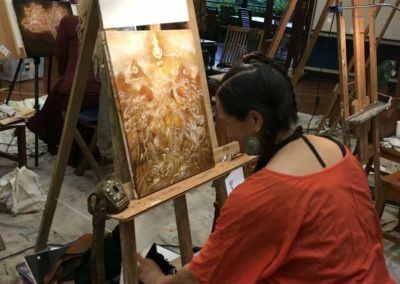 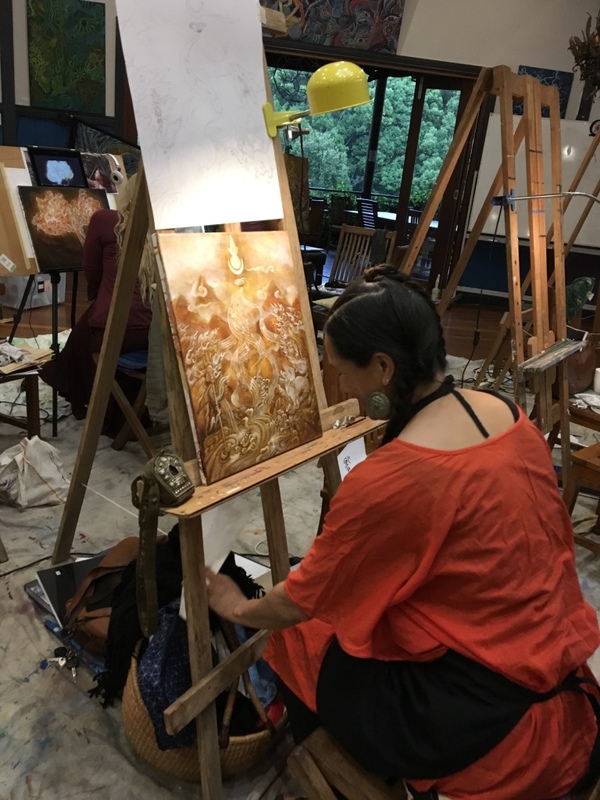 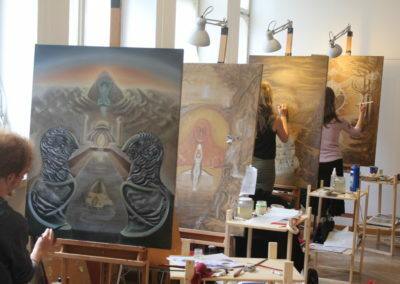 Realise your creativity this October within the beauty of Paradise One within a supportive group context, where we will quest to develop and understand our own inner vision, through the practice of painting, visualisation, and learning the language of symbols. 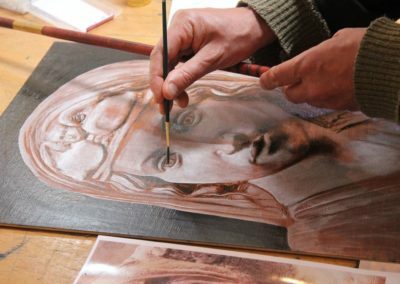 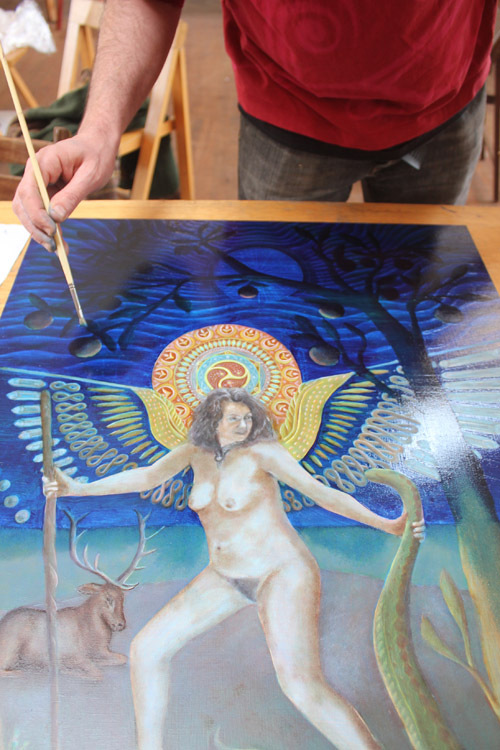 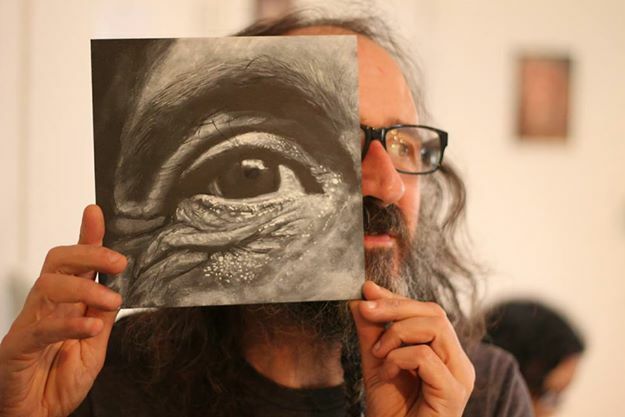 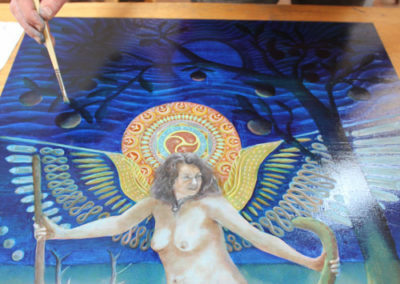 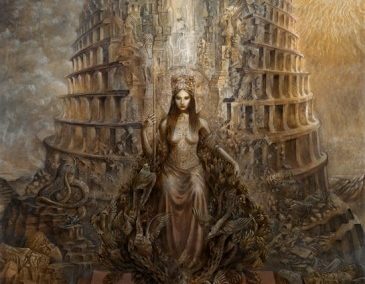 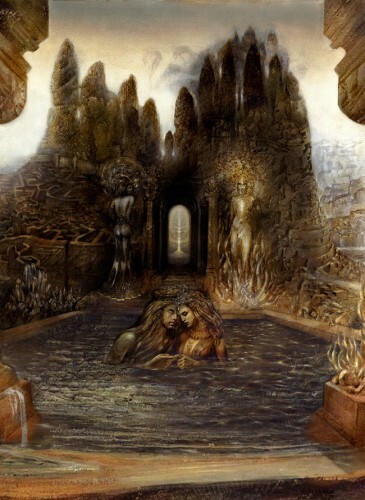 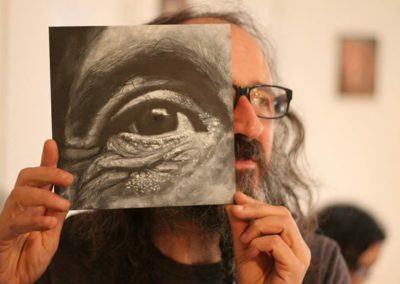 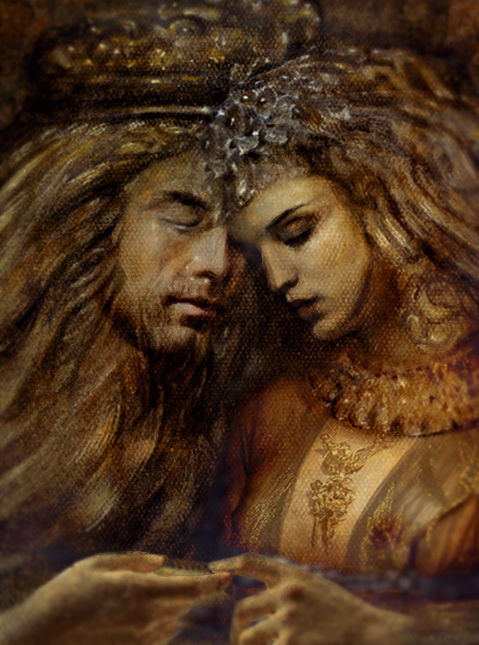 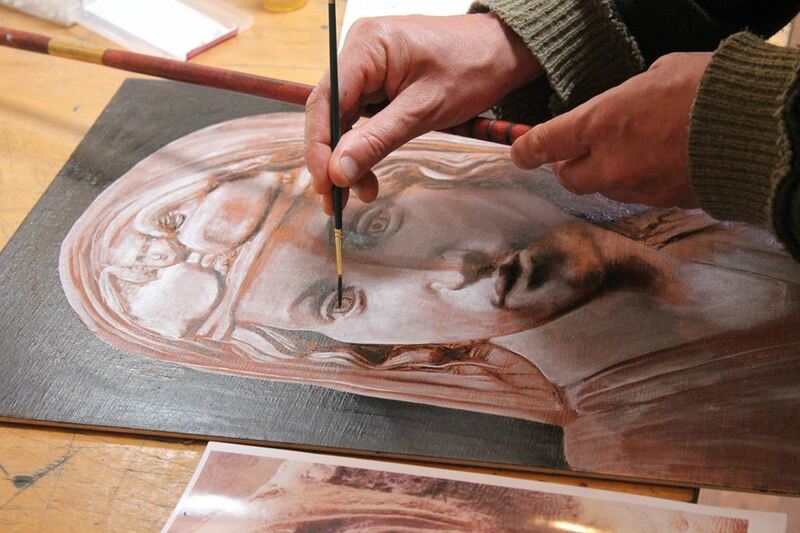 Daniel Mirante will share his detailed knowledge and practice of Mischtechnik (mixed technique of oils and egg tempera) which he learned from Brigid Marlin and Ernst Fuchs, as an ideal painterly approach for bringing vision into form, and for engaging with painting as a meditative process of self-discovery. 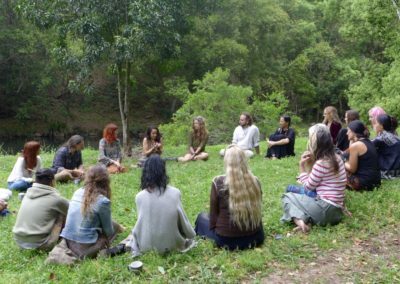 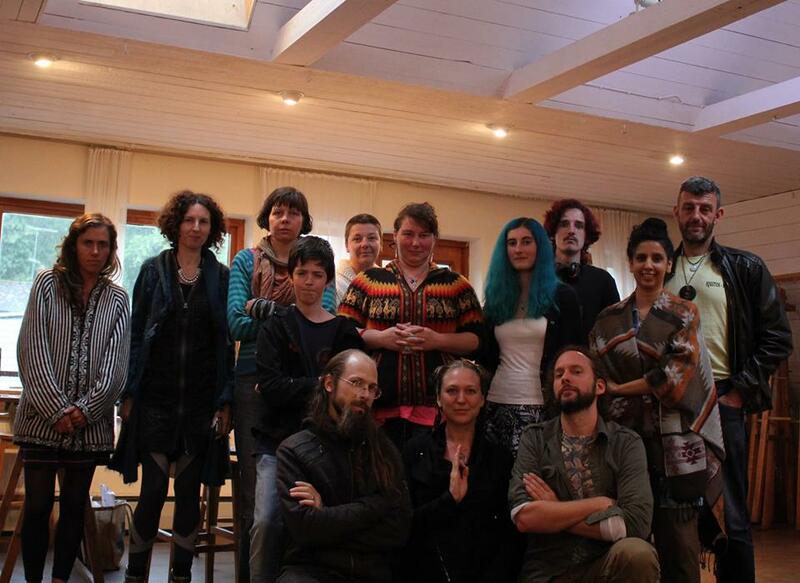 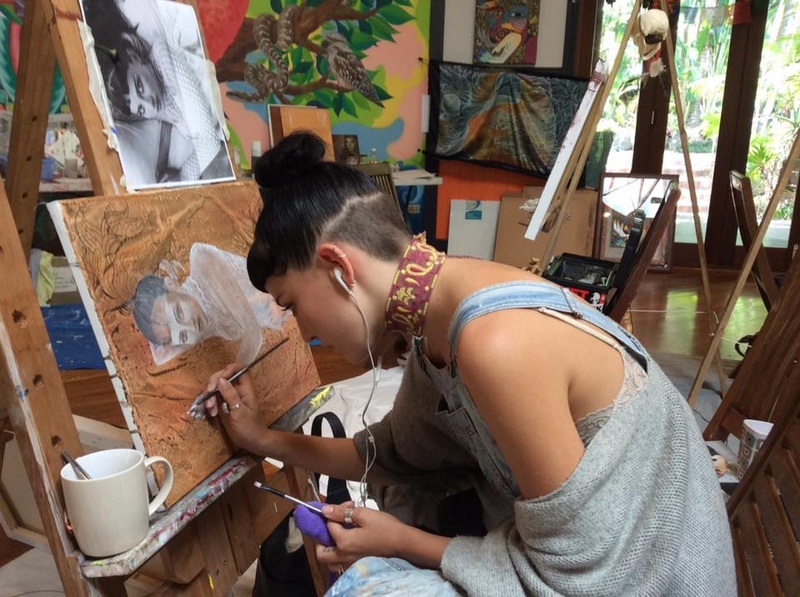 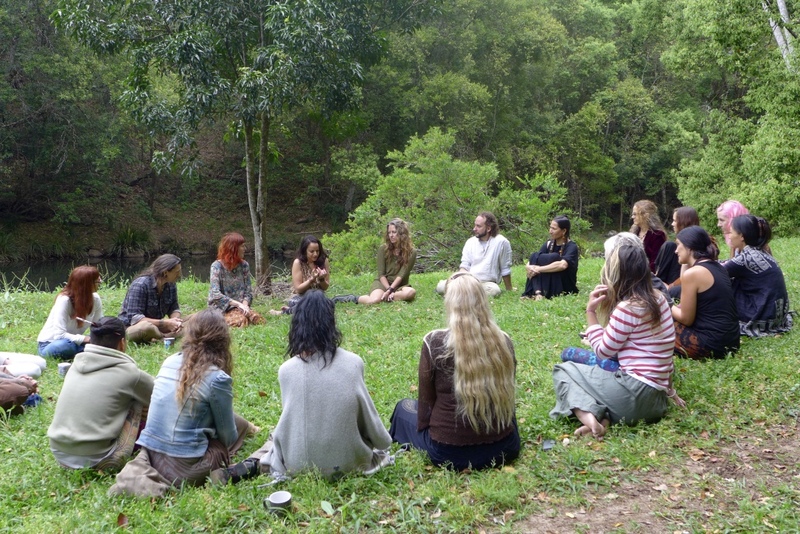 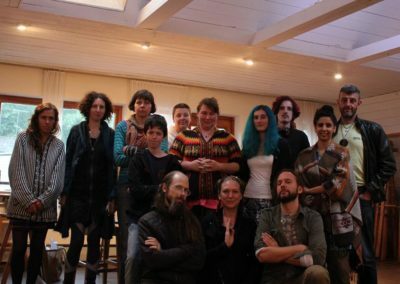 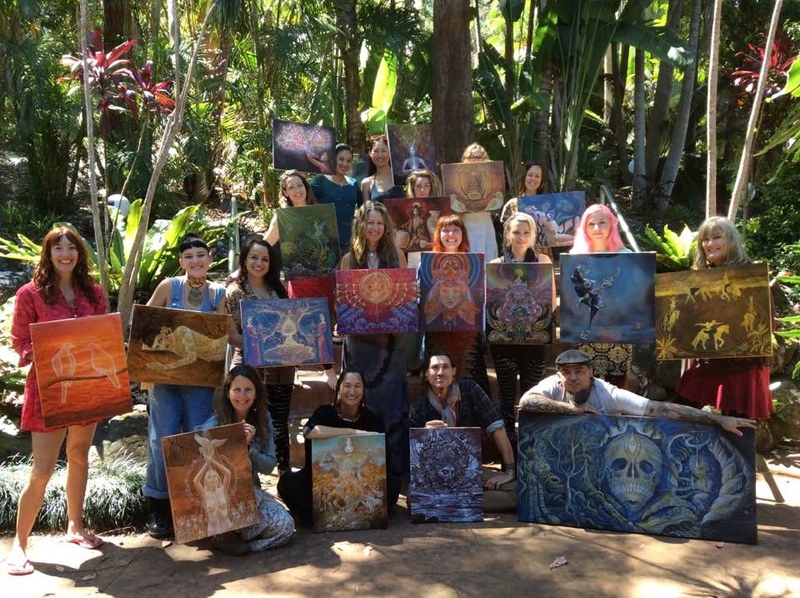 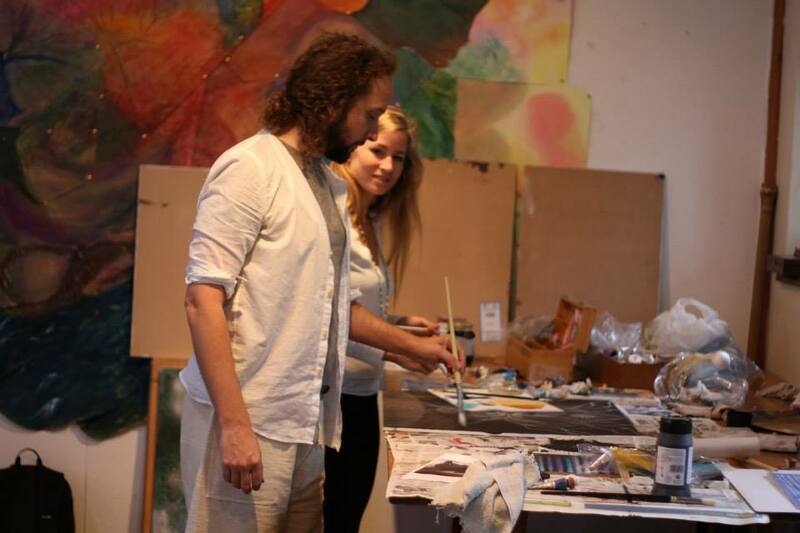 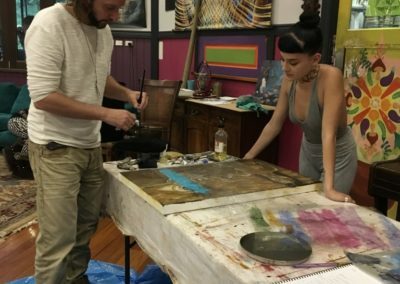 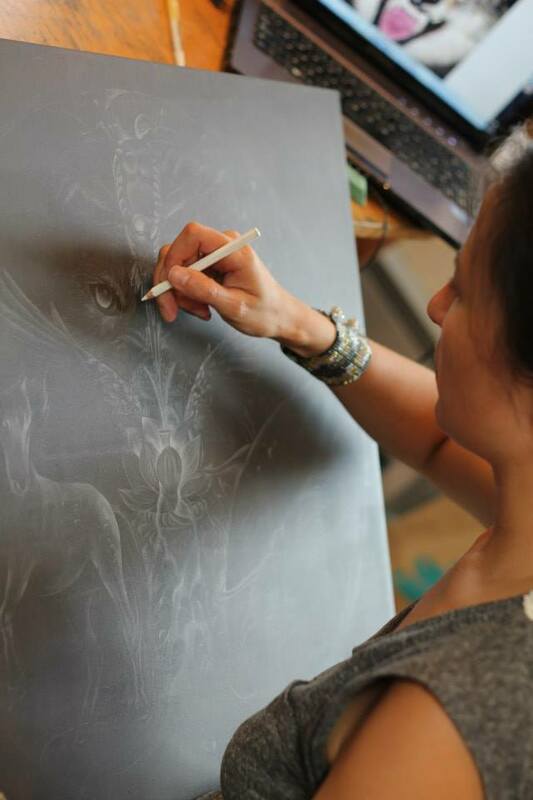 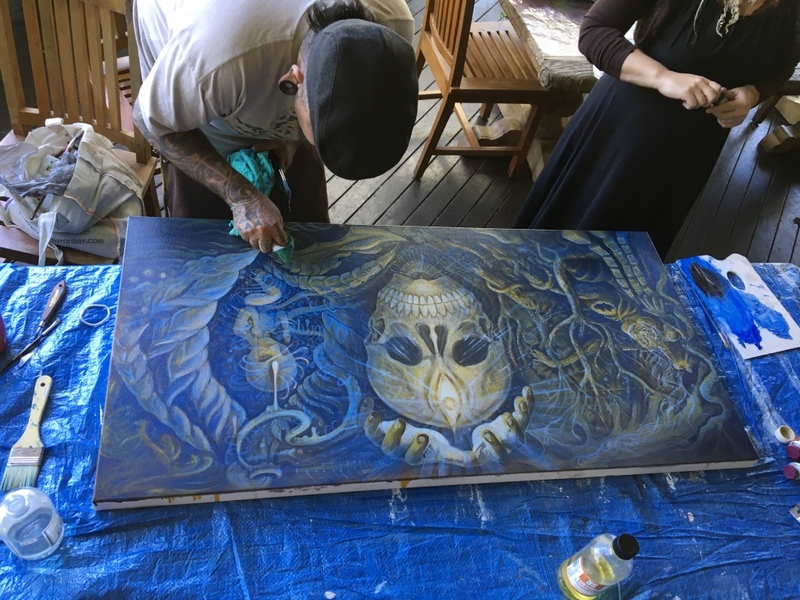 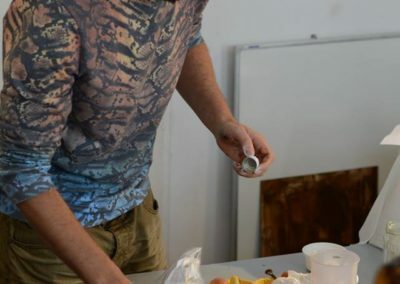 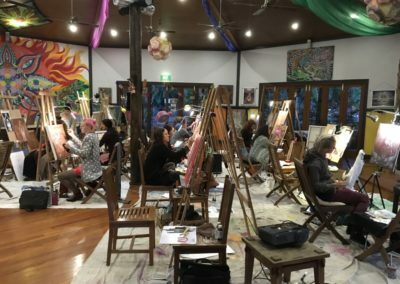 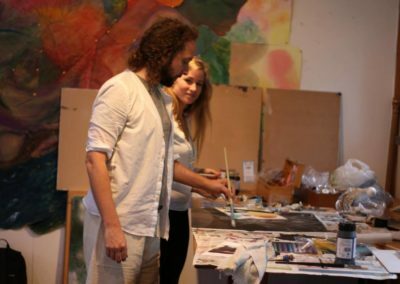 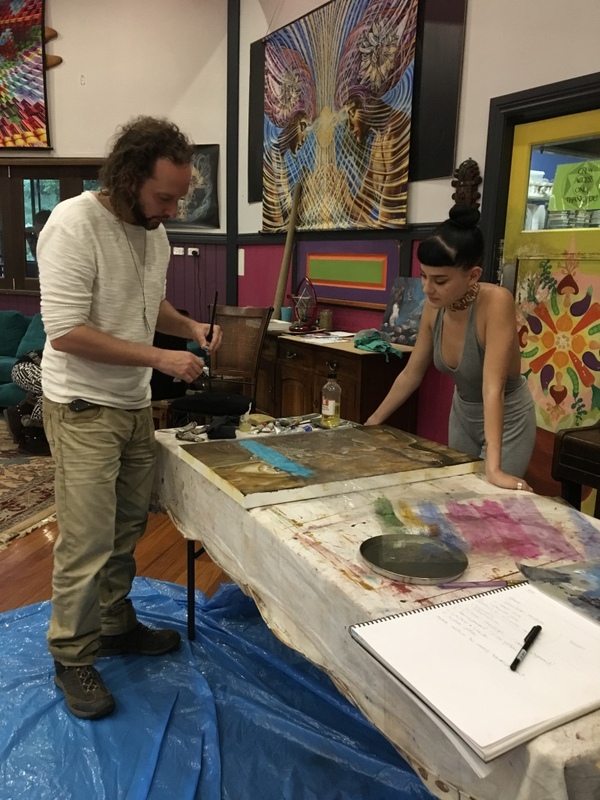 We had the privilege of having Melbourne based International Visionary Katia Honour join us at some of our Art in Paradise Retreats, as an instructor during Daniel Mirante’s Vision Quest Retreat. 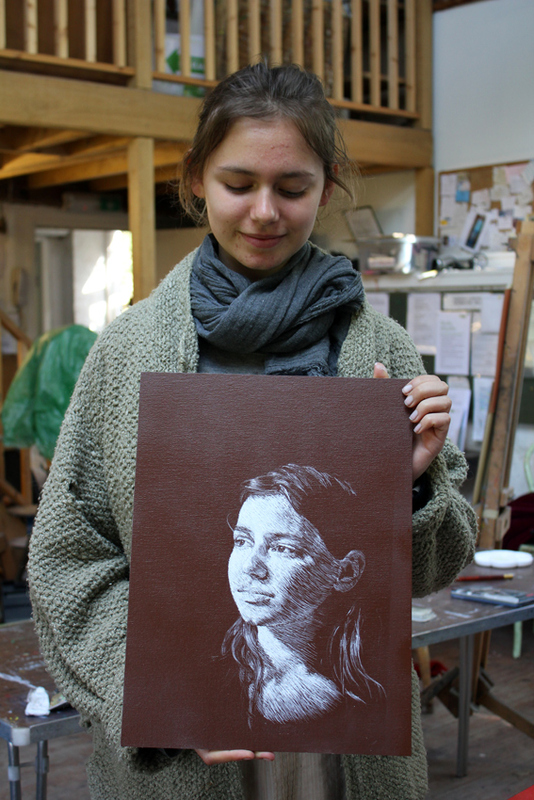 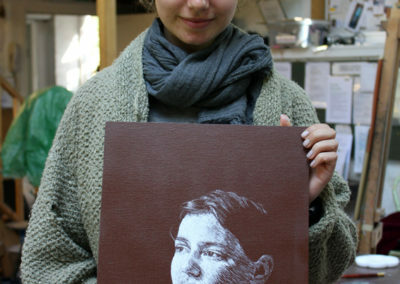 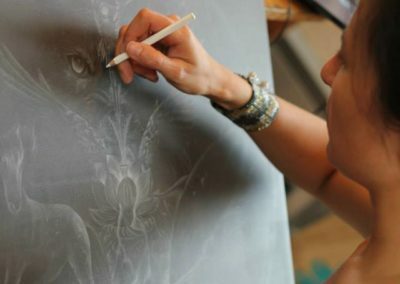 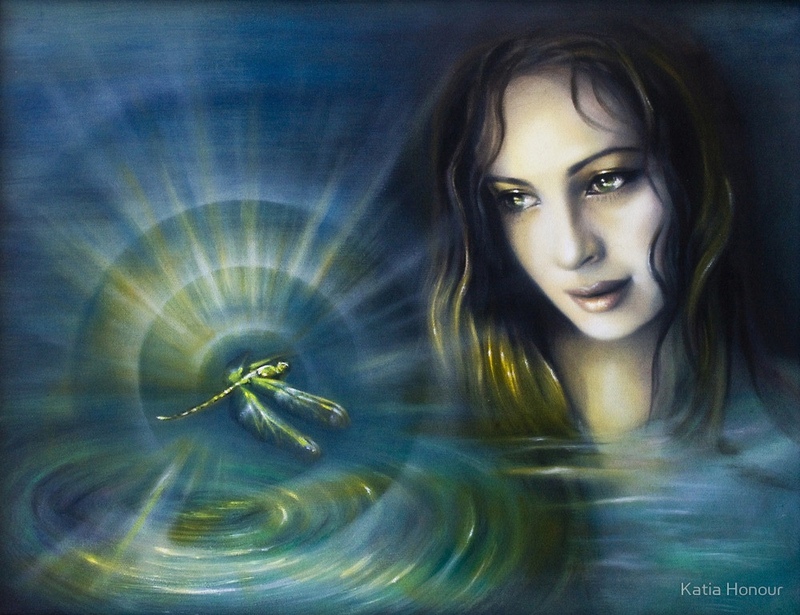 Katia has developed a contemporary, visual language which draws upon romanticism and psychedelia. 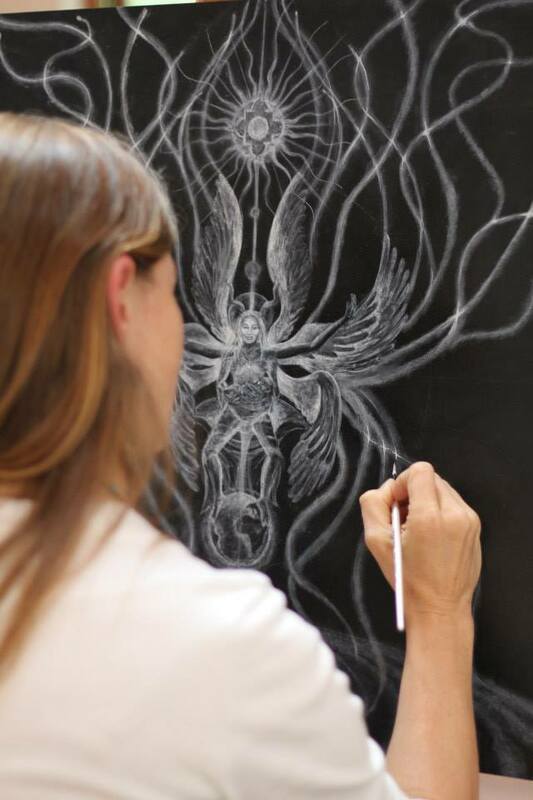 Her plays of light, surrealism, realism, and abstraction offer different perspectives into the phenomena of mysticism, madness and medication.